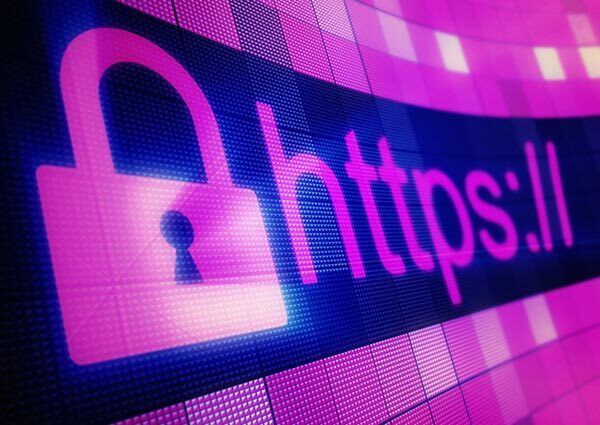 Federal agencies are required to make all federal websites accessible through a secure, HTTPS-only connection by the end of the 2016 calendar year. What you might not have known is that the switch to HTTPS will improve your ability to track which sites are directing web traffic to yours. Recently, a federal colleague reached out to a digital community about a huge jump in referrals from Wikipedia.org to a federal site in late February. In addition to the sheer volume, the referrals were attributed to one page (en.wikipedia.org) only, and not from any other, more specific pages. The huge amount of sudden referral traffic and the lack of specificity of the referring pages were mysteries she was hoping to solve. Luckily, a bunch of helpful community members were able to quickly assess the problem. The crux of the issue: When a visitor travels from an HTTPS site to an HTTP site via a link, the referrer is stripped, and Google Analytics reports the traffic as “direct”. But, a journey from an HTTPS site to another HTTPS site WILL carry the referral data. I wrote previously about the loss of referrer when using certain link-shorteners, and both the link shortener and the HTTP referral issues contribute to what is generally referred to as “dark traffic.” In essence, “dark traffic” are visits for which the origin can’t be determined, and Google Analytics funnels all its dark traffic into the “direct” category of acquisition. In this particular case, there was one more wrinkle in the story. Wikipedia had actually moved from HTTP to HTTPS in June 2015. At that point, almost all of the referral data from wikipedia.org to HTTP sites disappeared. But in February 2016, Wikipedia implemented something called a “referrer policy” that allowed them to set a blanket referral source for all outbound traffic, even to HTTP sites. They chose to set the referrer as the Wikipedia domain (with a language signifier), rather than the specific page that linked to a different site. So actual referrals that had for months been tracked as “direct” all of the sudden appeared as referrals again, but now with a single source of en.wikipedia.org. Unfortunately, it is not yet common practice across the web for HTTPS sites to take advantage of the referrer policy like Wikipedia did. That means if your site is still HTTP, a potentially very large percentage of referral traffic to your site is getting lost in the “direct” visits pool. And since the referral policy is controlled by the site referring traffic to yours, there’s nothing in your control to remedy the problem. Except, of course, migrating to HTTPS.Tim Lowden is the Acting Program Manager for the Digital Analytics Program (DAP). For more information about DAP or to become a DAP participating agency, please contact DAP via email. Wondering if your agency has made the switch to HTTPS? Check out Pulse—a lightweight dashboard that monitors the health of the federal government’s web presence by measuring analytics (federal executive branch domains participating in DAP) and HTTPS deployment (all federal domains). For more information, watch DigitalGov University (DGU) webinars, An Introduction to HTTPS (Beginner) and An Introduction to HTTPS Part II: Implementing HTTPS, or read DigitalGov’s recent posts on HTTPS.